This time 14 weeks ago we were sat in Willows being told the news that our much-loved family member did in fact have elbow dysplasia. We made the decision to go ahead with the surgery, of course the decision wasn’t a simple as that – but you can read all about here. Since the surgery, Woody has been rested and gradually we have introduced the exercise/walks back into his daily activity. We went back to see the specialist at the start of July. I remember feeling super anxious before this appointment. To us, Woody was recovering amazingly well. In fact, there were times when we expected Woody to show signs of lameness and he didn’t but to the trained eye, this may not have been the case. Our specialist was really pleased with Woody’s progress too, so much so that we no longer need to see him (unless we feel we need to). So I came away from our appointment feeling on top of the world, we did it. That was the big victory we needed to hear! Woody’s diet is going to be a crucial factor that we need to maintain. We need to ensure that he remains a good weight and very lean. We were on a good cold-pressed kibble which Woody enjoyed and since finding out about his legs we considered switching him over to raw food. There are pros and cons to everything and I know raw feeding isn’t for everyone (or every dog), I never thought I would be able to do it but if it will benefit Woody then so be it. I’m just grateful for anti-bac, loads and loads of anti-bac!! It’s been two weeks and we have already seen a huge difference in Woody – especially his coat and sorry for being graphic but his poop! But I think I’ll leave that for another blog post! Our specialist did recommend taking Woody to physiotherapy. We booked in just a few weeks later and he had the first session this weekend. It was amazing! He had a thorough examination, a full body massage, magnetic therapy but he was a wimp and was scared of the ultrasound therapy (so we skipped that one out this time). This is the next thing to try. We’ve been trying to get Woody to love water, most people we meet will tell us that we will regret it because once he starts going in the water he will never stop. But honestly, I don’t think that will be the case for us – swimming will be fantastic exercise for him. Woody has his first hydrotherapy session in just a couple of weeks. We are really excited about it and I’m sure Woody will love it too! I won’t lie, some days I still get sad when I think about Woody’s legs. Sometimes there are times where it still feels as raw as it did 14 weeks ago. But then I only have to look at his happy face and I know that with the right love and care, he will be okay. No actually who am I kidding, he IS okay. 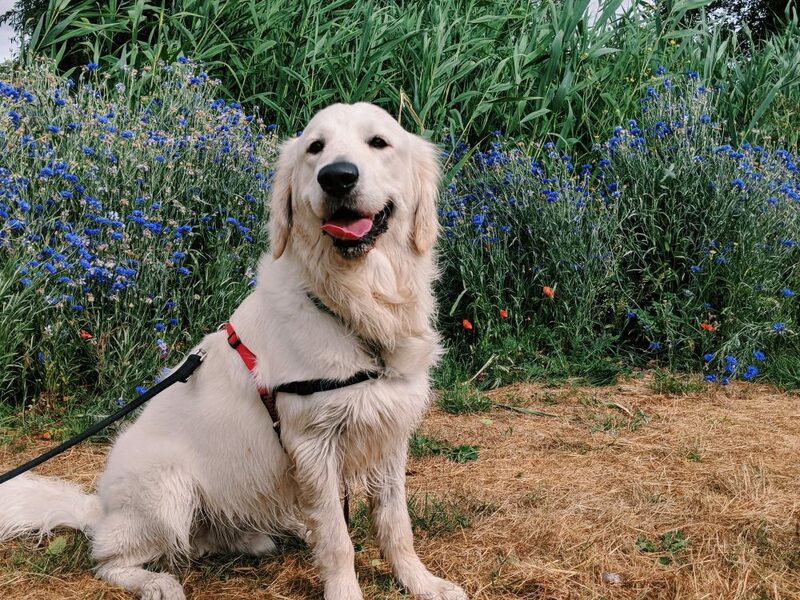 If you read my first post about elbow dysplasia, you probably saw that before we got a dog we wanted to climb Snowdon together. We hope one day that can still happen. It won’t be tomorrow or even next month but if we set ourselves the goal I’m hopeful that we will conquer it together. I told you we go this Woods!